Compatible with your Sonic System Purifying Cleansing Brush, Clinique's Anti-Blemish Solutions Deep Cleansing Brush Head gets to work on skin, performing a deep, targeted cleanse with its specialised, anti-microbial bristles. Developed by dermatologists for blemish-prone skin types, the cleansing brush offers targeted cleansing, expertly unclogging pores, banishing impurities from hard to reach areas and smoothing the skin's surface. 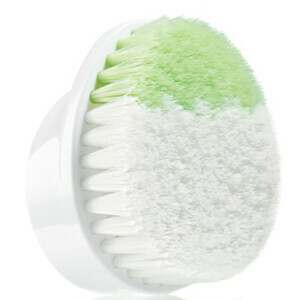 It effectively lifts away makeup and performs skin-energising, sonic action when paired with your cleansing device. Blemish-prone skin feels cleansed and decongested. - K.N.